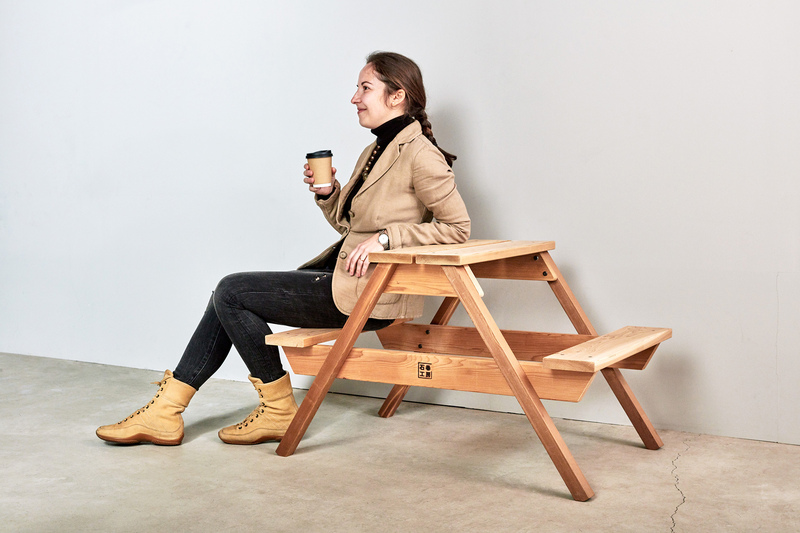 The LITTLE PICNIC TABLE combines a table and a bench. 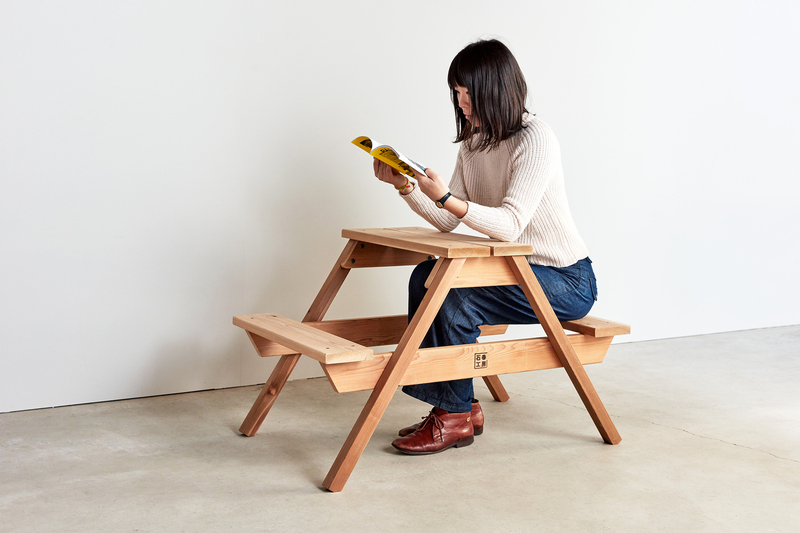 Two children can sit face-to-face, or adults can use it as a bench with an attached side table. 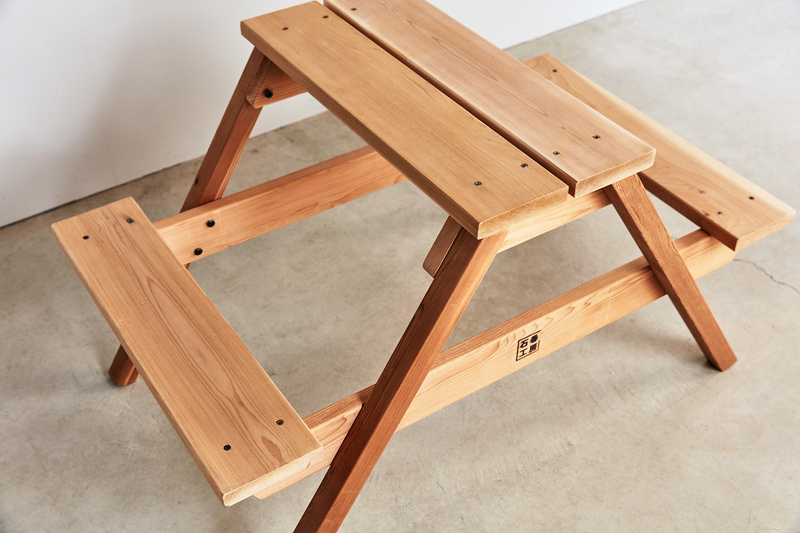 With its downsized proportions, there are many possible uses for the table ̶ you can place plants and small objects on it or enjoy the feeling of a picnic, even while being indoors.